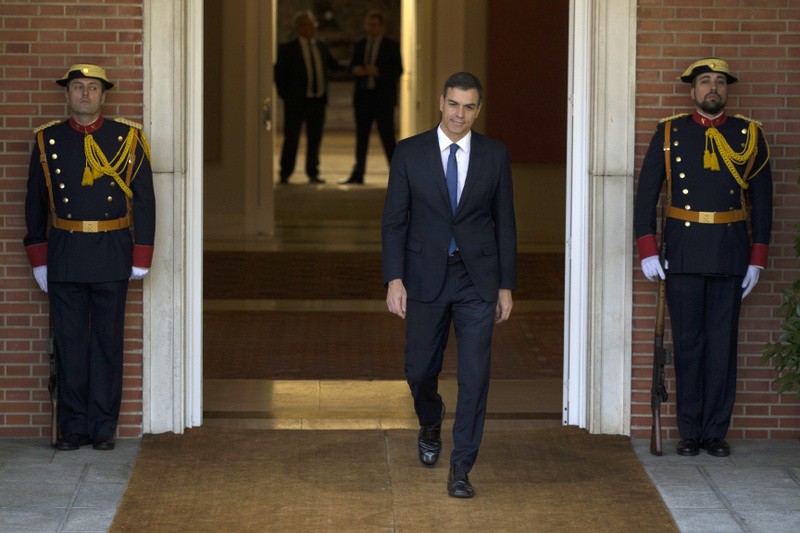 MADRID (AP) — Spain's new Socialist government announced Wednesday a female-dominated Cabinet, including women appointed to key positions overseeing the national economy, finance and defense. Sanchez on Friday won a no confidence vote in the government of Mariano Rajoy, prime minister since 2011, following a corruption scandal involving several former members of the conservative Popular Party. Pedro Duque, an engineer and the first Spaniard in space, welcomed in a series of tweets his appointment as minister of science, innovation and universities. Duque is a member of the European Space Agency and has taken part in several missions, including a 10-day flight on board the Discovery shuttle in 1998, and another 10-day visit to the International Space Station on a Russian-designed spacecraft. The no. 2 in the new government will be Carmen Calvo, an expert on constitutional law and minister of culture between 2004 and 2007. She will be deputy prime minister and also in charge of a resurrected Ministry for Equality. The push for Catalan independence, which haunted Rajoy during the last eight months of the outgoing government, will be one of the key challenges of the new administration. Meritxell Batet, a Catalan lawmaker and legal expert on the country's constitution, will be charged with dealing with Catalonia's desire for further autonomy as the new minister of public administration. The previously announced appointment of Josep Borrell, the former European Parliament president and a pro-Spanish unity Catalan politician, as foreign minister, irked some separatists. Sanchez has promised to open talks with a new regional cabinet in the prosperous northeastern region, but has said that any solution must fit within Spain's Constitution, which calls the nation "indivisible" and says national sovereignty resides in the Madrid-based parliament.